But I still fail to see the interest of all the pain with the boosters and keeping the DHT22 which need "high" voltage of 3.3V when a sht21/si7021 is 3$ or less on aliexpress and can run way over 1 year with a simple cr2032 ? And if you use 2 AA it will run for 5 years. No problem with noise/stability, no booster to buy, just a 0.x$ big capacitor to add in parallel with the battery if you're using a CR2032 (and nothing if you're using 2 AA/AAA). @Nca78 Another option that I went with is an HDC1080. The only problem with this one is that according to the datasheet, the recommended operating minimum voltage is 2.7v, where the si7021's minimum is 1.9v. When I was looking on ebay, these said that they were a replacement for the si7021, and it was my mistake not checking the datasheet before buying. They do seem to be working good though and I have had one of them running for about 5 months with no trouble so far. @Nca78 that's why I added the option without boosters. The only downside is that it's not that easy changing bod. When you get the booster function to work you can also run a motion dec in 3.3v for example. 3.3v will give you more sensor options. I could just (do it very very ugly) and cut the vcc line near the board and solder it directly to the battery input? Or would that not work due to some other connection? @sundberg84 That is one of the nice things about your board is it's flexibility. For motion detection isn't a booster a bad idea ? 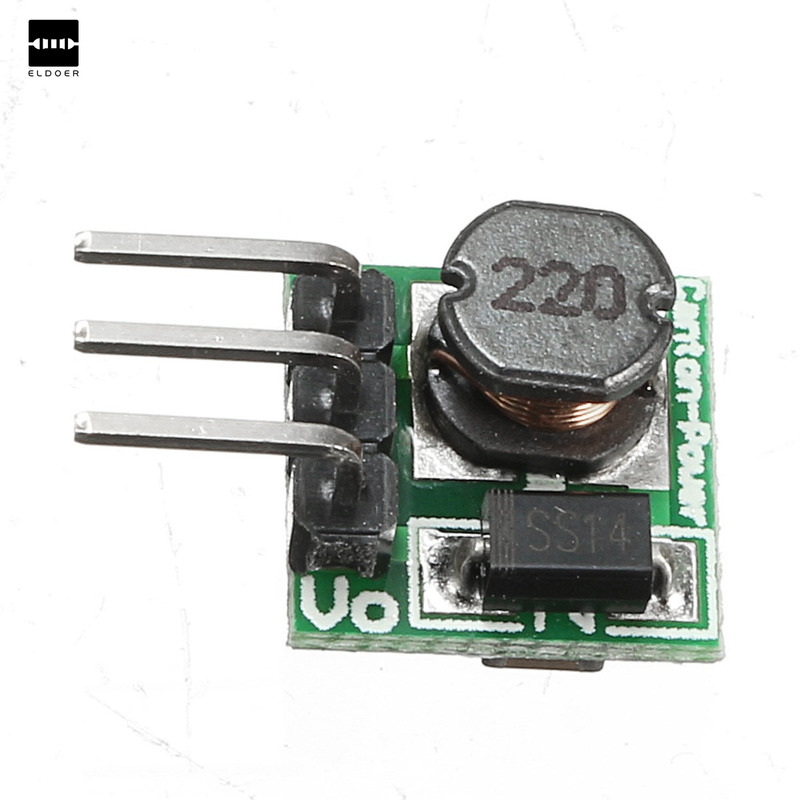 You can use AM312 anyway, very small and very stable, no soldering necessary to run it down to 2.7V meaning you can use most of the capacity of a lithum cell like CR123. @dbemowsk thanks for the information I didn't even know about this sensor, looks like a very precise one with a very low power consumption. Can you link to where you bought it from I see nothing below 4$ on aliexpress ? The thing is that when people start with mysensors and arduinos, none of these are listed on Store page, so using them would be experimenting basically. And experimenting before you have even begun anything is a bit masochistic. At least in my case that is how I was thinking, so I ordered several of dht22, not really knowing that there are better/efficient alternatives. Maybe we can get those sensors in the store page, perhaps mention them on the examples page, noting that they are more efficient? I went for the BME280, a little expensive, but it uses I2C and can be run from 1.71 volt to 3.3 volt. @Nca78 I believe this is the same one that I bought, at least the carrier board looks to be labeled the same. Mine was just listed as an HDC1080, where this one is listed as a GY-213V-HDC1080. I am assuming it is the same chip. When I bought the 2 that I have I paid $5/module shipped which after looking at this one was a bit high. Live and learn though. @dakipro the dht22 is a hot potato not only due to 3.3 req but also quality... I know this has been requested for removal on homepage before and I think it's just a matter of someone makes a good example for another sensor to replace it with. Yes you can cut the trace for vcc and hardwire it from bat if you want to lower bod. And yes it's not that hard to lower bod... but harder than booster and therefore I choose the easiest option since that's my board goal. I'm running 1mhz with booster and motion without problems... but same there, with a bad booster it will false trigger. @mfalkvidd so all we need is some graphics and some text ? The only thing for the DHT sensors is they have their own pins, so you don't have to solder pins like on the breakout board of the I2C sensors. That's a good reason to keep them in example section otherwise a soldering iron is necessary, but it should at least talk about the existence of I2C sensors. Booster is still used but only for dht22, radio and pro mini run directly from the battery. Thank you very much guys for help, now I have a foundation (and the knowledge) for more awesome sensors! I would like to use this PCB. I would like power it with 5V, but I would like to use a 3.3V version mini Pro. How should I do it? I would like to use it from 5V (USB adapter) or battery 2xAA . Could I do it? Which configuratation should i use? Or do i have to modify one of the above configurations? 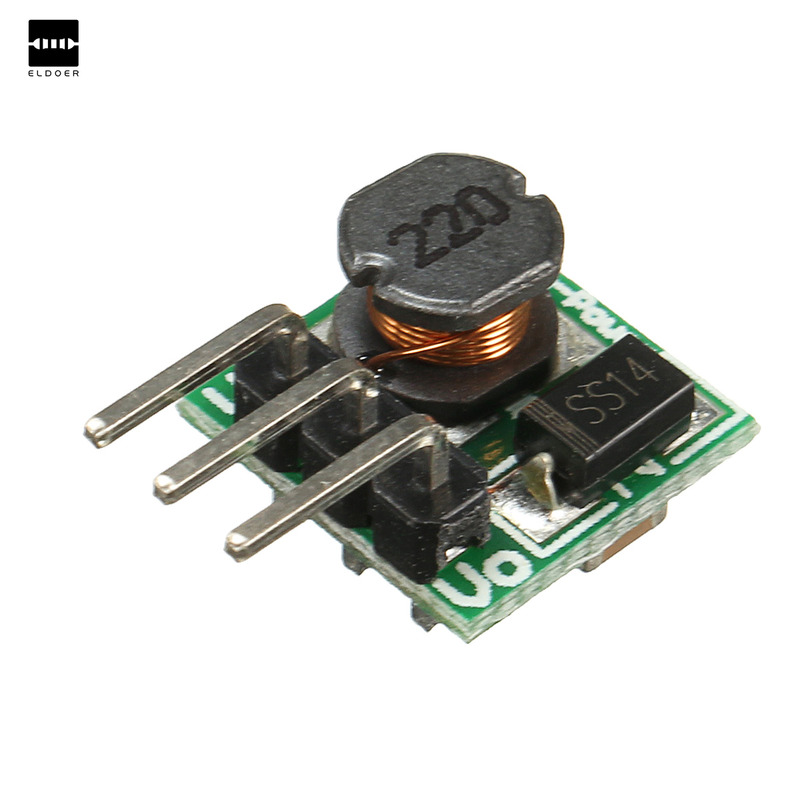 (3.3V , 5V regulated, or 6-12V) ? There is no right answer since without knowing what you want to do, they could be all wrong or even all correct. @Tommas 5v + 3.3v pro mini there is no example for this. Add your 3.3v pro mini and radio. Connect 5v to raw and put a jumper/connect both reg and bat. If you want to use to for 2xaa please follow the example. @keldandorin - are you using a booster as mentioned above? The problem is in that case noice introduces in the radio from the booster (a known issue). I will in the future try to buy me a oscilloscope and diagnose more... but for now, if you add a "bad/cheap" booster it will be this problem. 2.8v sounds really bad though, and most likley a really bad clone. Try another booster, and/or try to filter with capacitors. Load a new bootloader that can handle lower voltages accoring to link above. Thank you! ANd which example should i follow with this modification? I would like to power all my nodes from a central power source with 5V . I would like to use 3.3V microcontroller with 3V sensors... because of the voltage drop down caused by the distance (5-15m from the power source). Maybe there will be 1-2 battery powered sensor nodes.. If i use 5V regulated example, has it got 3.3V output for the sensors? Oh OK! Thank you! The decision is hard for me, which solution i should use:) . @Tommas If you are using 5 volts in and not using a 3.3v pro mini that has the 3.3v regulated output, then you have to add a TO92 case style 3.3v regulator and two capacitors to the board. Here are some that should work. Whatever one you get, make sure you check the pinout against the markings on the board as not all regulators have the same pinout. @Tommas - this is the voltage regulator that the board is designed for so the markings/pinout will be right for you. If you put 5v on the PCB input and use 3.3v pro mini though, the only choise you have is to put 5v on RAW and let the onboard voltage regulator on the PCB regulate it down to 3.3v. The voltage regulator on the PCB only regulate the voltage to the radio and are meant for a 5v input on a 5v pro mini. Using raw means there is no need for the LE33. @sundberg84 Is there any way to say if booster is a bad one or not before ordering them? The one I ordered was the one on shoping list from aliexpress. Will try I capacitator and see if I can get a new booster from kjell&Comany tomorrow just to try. Build a setup on bread bord where I powered radio with 2 AA and got the same result. Got a fju places where I like to put some sensors with no power so realy need to get this working :). Could the radiomodules be bad to? @keldandorin - could be a weak clone radio yes. Just to get your hopes up, I got booster driven nodes all around the place with Nrf24l01+ radio and they works great! @sundberg84 Sounds good, Thats what I'm looking for. Have never worked with tinkers like this befor so everything is new. But this place is great thx for taking time. Can I read somewhere how payment is done when ordering from openhardware.io? On the start page for openhardware.io there is no clue. I've also tried to search this section (easy-newbie-pcb-for-mysensors) for "payment". Yes, I've read that the "order" is more like a forward of orderinformation to the supplier, but do I really need to order first and after that ask what payment solution is present? @pellusfromtellus - to get a 100% right answer we ping @hek but I recommend paypal! I think most of them handle paypal/card. You can press the "Order" button to find out. Nothing is binding until payment has been done. Is there a drilling and outline file available? Yes, but this is Eagles output gerber files. IS it possible to use TP4056 (https://www.aliexpress.com/item/5-pcs-Micro-USB-5V-1A-18650-TP4056-Lithium-Battery-Charger-Module-Charging-Board-With-Protection/32728720869.html?spm=a2g0s.9042311.0.0.A0lkC7) this instead of using the step up booster? @hiddenuser - well not out of the box as mentioned by gohan. Im not really sure what you want to do. Its not possible to use this instead of step-up booster since it outputs 5v and the step-up needs to output 3.3v. But with a voltage regulator in between maybe? As I said - don really understand so maybe you can explain some more about your project? I have used made the board for 3.3v set up as per the instruction. 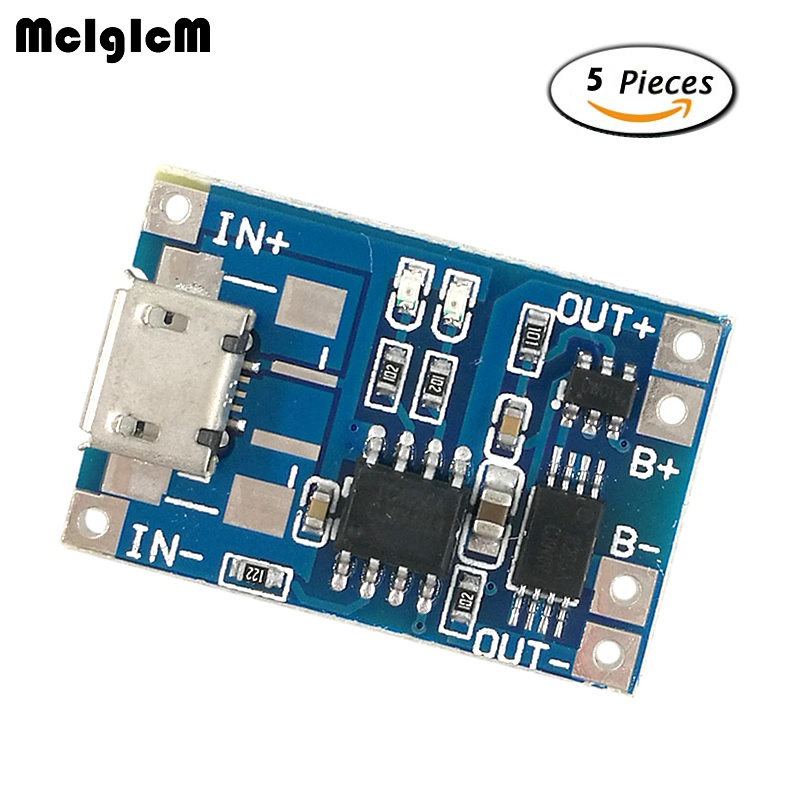 I have usd the output from tp4056 into the Battery connector of the board I have a step board from https://www.aliexpress.com/item/New-Electric-Unit-1-PC-NEW-DC-0-8-3-3V-to-DC-3-3V-StepUP/32724361266.html According to the specification given in the same link it is supposed to stabilize to 3.3v above 3v but the sensor reports something else back to the gateway. @hiddenuser - well, what would a battery measurer be if it reported a constant 3.3v boosted voltage? It all depends on how everything is connected (pictures?) but if you have connected it as battery instryctions the radio and voltage divider that measured the incoming battery are not a part of the booster circuit. This to prevent noice to the radio and to be able to actually measure the battery voltage and not step-up voltage which is the idea behind the board. hey, has anyone maybe made a fritzing drawing/component of the board? @gohan The only voltage regulator that I know of on the board is mainly for the radio. Unless you are talking the one on the pro mini. Otherwise an old phone charger should work. @gohan Have a bare board right in front of me. Ran continuity and no connection from regulator V-Out to VCC. VCC goes to the REG jumper and V-Out goes to the BAT jumper. VCC ties to the V-In on the regulator. @gohan ayou wouldn't want to run the pro mini and the radio both off of that small regulator anyway. Takes too much from the radio. @markjgabb If you connect your 5V brick to the RAW pin, the onboard regulator on the pro mini will do. @markjgabb @dbemowsk @gohan - I dont have much else to add, thanks for the input here. Using mains power I would also use HLK-PM01 and input the 5v to the pro mini. If you only have 3.3v pro mini you need to input this to RAW. I have made a breakout board for the HLK module if needed as well. Well it looks like your battery goes to some sort of regulator before the Easy board? If so my guess is that that board is providing 2.7 v regardless of battery voltage? Have a look at @gohan and his posts about solar power and different batteries. EasyPCB is designed for 2xAA and it will not work with other voltages out of the box. The voltage divider is also dimensioned for 3.3v max and will not work with higher voltages. Again @gohan has made some experiments with this. Check his posts out. If you re-dimension the voltage divider it will work with your higher voltage. @hiddenuser I don't know why you have a booster in place (unless it is a buck boost) and you need to change the voltage divider resistors if you want to read higher voltages (look at my solar project). In addition I'd put in place a LDO regulator if you want to use a lipo battery since a normal voltage regulator would require a higher Vin than a lipo battery can provide. Thanks @gohan for the feedback. Can I have the link to your solar project! @barna - i don't know to be honest. As I wrote I had issues last winter but never with that 0.1 cap. I'm running second winter now (have been as low as -8C so far) without issues. It is a way to monitor battery voltage without the need for the 0.1 uf capacitor and resistor setup on the board. I don't think you need, it's made to stabilize the measured voltage, in the worst case the measured voltage will be a little bit unstable but your node will still run fine. @markjgabb Don't know if it's the same chain, but we have aldi stores here in the US. Hi everybody. Finally got my newb pcb and I soldered everything needed for the pro mini 3.3v. But I ran into problems. I think it's the cheap chinese pdo mini but I want to ask you guys. Problem id that my node doesn't work. But when I debug my node I plug my pro mini in my computer's usb and then it works. What I could see is that when it is battery operated I can read a 3.3v value on the vcc pin of the pro mini. When I also connect via usb this value is about 3.5v. Could it be that my pro mini requires 3.5v. I did solder the capacitor for the radio and i'm using a 3.3v step up converter also. @akamap an you post a picture of your board setup? @akamap without knowing how you are powering the node, it is difficult to say. @akamap - listen to the guys above, let us know with pictures Its the best. Did you by any chance miss to solder to jumpers? The best approach is to measure with a multimeter... put the black to GND and measure your way through the circuit from batteries, booster, jumper, pro mini and radio with the red put on each components VCC (or Vout on booster). Then you know where it goes wrong. Try to follow the schematics or the traces in the pcb to figure out how the current flows. @sundberg84 That's why I wanted him to send pictures. There are a number of variables that need to be in place depending on the configuration that you are using with this board. Is he using a 3.3 or 5 volt arduino, does he have a regulator, are the correct jumpers in place. Any one of these missing factors can make it not work. EDIT : Seeing the pictures this big, I think I know why and it is my fault. I tried to save energy by desoldering the led on the arduino. I followed a post here on mysensors.org. But I just realized I might have desoldered the wrong thing on this arduino. I'm not sure what I desoldered, but it might be what is causing the problems (I desoldered the tiny thing below the led) I'll put a fresh one to see if this is working. Ok, thank for all the answers and here is more information. I power it via 2AA battery. I did put a jumper on the battery point. And I am using a pro mini 3.3v (Cheap chinese clone). I am using a step up regulator to step it up to 3.3v for the arduino. Another information, I did not solder directly the arduino pro mini (you will see on the pictures). I don't know what the are called but I'll call them "extender". I use them so I can unplug the arduino in case I fried the pro mini. @akamap thats just the resistor... should not be the problem. I cant see anything obvious. I have some radios without silkscreen and they work....... like a clone. Not the best but most work ok. Try adding a capacitor on the booster - might be a noisy one... I would recommend to try a 0,1uF ceramic if you have. Otherwise just wack in what you have... not to big i think. If you power it from the booster/bat you cant power it the same time from USB! Disconnect VCC from the ftdi adapter. Connet RX/TX and GND to begin with. RST if you need to upload. Two power sources makes one to much. Thank you everyone. Everythings seems to be working now. I did solder a capacitor on the booster. But I don't think this was all that was bad. I also find out that when I touched the capacitor for the radio, I was having mixed result. So I soldered the capacitor directly on the radio. Now, everything works fine. I guess I burned the trace or something was creating a short with this part. I just need to remove the voltage regulator as suggested by gohan now and I can start testing my battery life. Thanks again. Great library, great forum but most of all, great community. So its coming up for a new revision of the EasyPCB (both Nrf + RFM edition). Line up MysX connector for a more clean placement of daugherboards. Anyone have any other input before i start the work? I will not take any suggestions that will make the board heavy or non user-friendly. Still the same goal - only easy to use components, easy to assemble and easy to understand. How about a flash chip + 2 resistors for FOTA ? @gohan - interesting. What would be the easiest way to do this do you think? Placement? Can I avoid SMD components? Put the battery measurement components under the Arduino. This makes the board more generic and frees up space on the right side of the board that can be used for more sensors. Expand the prototype area so that more sensors can be installed on the board. And if one uses the board for battery only, the whole right section can be cut off but the battery measurement circuit is still there. About the battery measurement components under the Arduino - I was thinking of putting the signing chip there. If you want to use the battery divider you need the booster as well so therefore its nessecary to have the board uncut. with this in mind I think it does not matter about the voltage divider placement or? Im not sure a 8 pin SMD component is right for EasyPCB - It seems a bit to advanced and unclear? Maybe I can do this with a MysX shield? If I don’t use the booster and connect both BAT and REG and feed the board with two AA batteries i can use the battery components to measure the voltage of the battery. That is how I use it today. @mickecarlsson - ahh, I see - good one! Let me think and maybe try some in KiCad and i let you know what I descide. The flash chip uses pins that are not on the connector. @gohan - you are right. Maybe I can use the back side for the smd parts? Again I will test and see how it works out in KiCad. I might do some testing and post to get feedback. Im really afraid I will lose the easy to use function which the pcb is designed for though and if I feel I do the smd parts will be excluded. Maybe I could do a rev 10 which includes more heavy stuff and keep rev 9 as well as the Easy version. I don't see it as a complicated thing, since if you don't need it then you just don't use it and you only have a few smd pads unused. What makes it complicated is if you are a new user who sees all these pads and dont understand if they have to be populated or used. But by adding those with clear labels on the bottom side might do the trick. Why dont you use the internal library to measure the battery voltage? Im thinking about this and can't find a reason to move the voltage divider since without the booster you could just use the internalref and a library to measure the voltage?